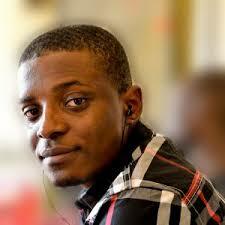 Kingsley Ezeani is a Nigerian blogger and the founder of the news and entertainment website: Information Nigeria, with the URL informationng.com. He is also the founder of Techcroft Media. Kinsley Ezeani attended the University of Lagos, where he studied and obtained Bachelors of Science Degree (B.Sc.) in Electrical and Electronics Engineering between the years 2007 and 2012. While in the university, Kinsley organized a four weeks campus environmental activism leading up to Earth Day 2012. He also engaged the University of Lagos in an international network of student environmental activities. While still a student, Kingsley also co-founded Kairos Society in Africa and engaged in efforts to get students more interested in entrepreneurship. He partnered with the Society’s presidents in the University of Lagos to launch outreach campaigns to students of the University. As a tech-student activist, he ensured effective brand awareness and promotion of Google tools at the University of Lagos. He organized student events to promote Google products on campus, and promoted Google opportunities and other student’s events. Kingsley Ezeani further studied Technology Entrepreneurship (12 week certificate course on Technology Entrepreneurship) at the Stanford University Venture Laboratory. In January 2009, he founded Information Nigeria. Since then, the website has grown into one of the most popular websites in Nigeria with over 18 full-time staff and over 100 volunteers. Kinsley Ezeani is personally responsible for outlining strategies, driving growth for the website, scaling the business and he has been able to build the largest Social Media platform in Sub-Saharan Africa with over 3 Million Followers across all platforms. In the year 2013, Kinglsley earned an award for reaching new frontiers as an innovator, publisher, business owner, entrepreneur, or professional in new media. His website is one of the most trafficked news and information sites in Nigeria. Information Nigeria, being an Information portal, focuses on providing interesting Nigerian content. The website was notable for being the first website in Nigeria to attain One Million Fans on Facebook, an achievement that occasioned its acknowledgement as the fastest growing page ever in Africa by Socialbakers.com (A social media analytics website). The Information Nigeria’s Facebook page overtime, became an interactive platform where Nigerians air their views openly and learn more about their country. Information Nigeria’s founder; Kingsley Ezeani is a 2013 The Future Awards Africa nominee for his work with Information Nigeria and was a speaker at the year’s edition of the Online Business Masterclass. Nigerian Delegate to the 15th World Business Dialogue – Cologne, Germany World Business Dialogue, March 2012.